As internet conversation turns more sharply towards managing and eliminating the power of abusive trolls, platforms are now beginning to think actively about how to place control back into the hands of creators. Instagram made waves earlier this year when they began rolling out some serious measures to protect their users from trolling and now YouTube seems to be following in the same direction. YouTube comments have, from day one, been a breeding ground for negativity and some of the worst pockets of human internet filth. There have been efforts in recent years to curb that. But YouTube's latest measures look stronger than ever. 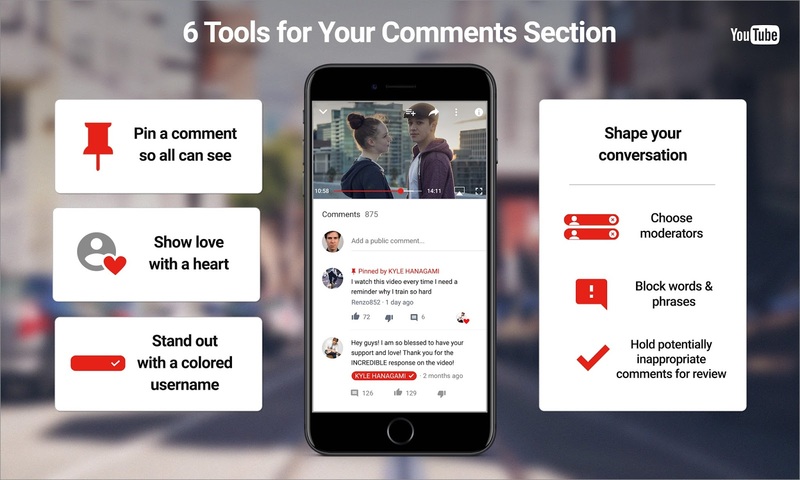 YouTube announced yesterday (Nov. 3, 2016) that it was introducing a set of moderation tools so that creators could more thoroughly manage the contents of their comment section. YouTube's changes are so comprehensive, that it is fairly obvious a lot of thought has gone into them. As far as moderation goes, YouTube also unveiled their YouTube Heroes initiative in September to further experiment with the idea of peer comment moderation. While some sites still have huge issues with trolling (ahem, TWITTER) , it seems that YouTube is innovating a way forward for serious creators looking to age with serious audiences.